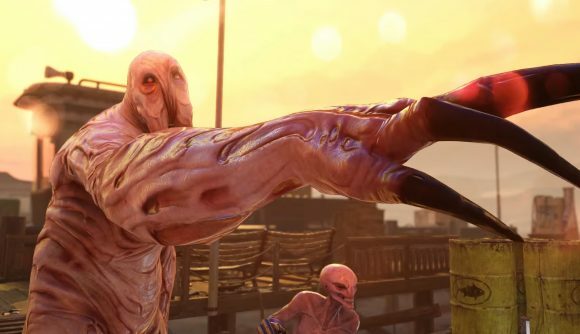 XCOM 2 will draw on over two decades worth of series legacy for its next major add-on. The Tactical Legacy Pack adds new missions, new maps, and new gear drawing on everything from the original game to the most recent parts of the Firaxis reboot. The DLC launches next week, and will be free to owners of XCOM 2’s War of the Chosen expansion for the next two months. The Tactical Legacy Pack will add a new Legacy Hub to the main menu, giving you access to a series of missions that offer turn-based combat without the challenges of the strategy layer between missions. Central’s Archives will tell a story bridging the gap between XCOM and XCOM 2, while the Resistance Archives will offer a series of missions gradually increasing in difficulty. You’ll also be able to build your own missions using the Skirmish Mode, which lets you choose maps, enemies, objectives, and squad loadouts to create custom scenarios. This DLC will include 28 new maps, many of which have been “remastered” from locations in XCOM and its Enemy Within expansion. Those maps will be featured in Central’s Archives, as well as the main War of the Chosen campaign. Completing Central’s Archives will also net you access in the campaign to “reimagined versions” of conventional, laser, and plasma weapons and Kevlar, Carapace, and Titan armour. You’ll get new soldier customization options, as well as the Photobooth with selectable backgrounds, colours, and poses – because no game in 2018 is complete without a photo mode. There are new soundtrack options, too, letting you swap between the XCOM 2 score, 2012’s XCOM music, or a new set of tracks inspired by the 1994 original. The Tactical Legacy Pack launches on October 9. It requires both XCOM 2 and the War of the Chosen expansion, and if you own those the new DLC will be free until December 3. After that, it’ll be available on its own for $7.99.